An equator is an imaginary line that runs around the surface of a planet, perpendicular to the sphere’s axis of rotation. Of course, the one we’re most interested in is the Earth’s equator. Regions north of the equator are called the Northern Hemisphere, and then south of the equator is the Southern Hemisphere. Here on Earth, the equator has a length of 40,008.6 kilometers, and its latitude is 0°. And if you can stand on the equator, you’ll see the Sun rise in the East and travel overhead through the day, and then set in the West; on the March and September equinox, the rays from the Sun fall straight down. This is also the spot with the quickest sunrise and sunset times, since the Sun moves exactly perpendicular to the horizon, rising straight up, without moving at an angle to the horizon. Because the Earth is rotating, turning once a day on its axis, the Earth’s equator bulges out further from the center than from the poles. 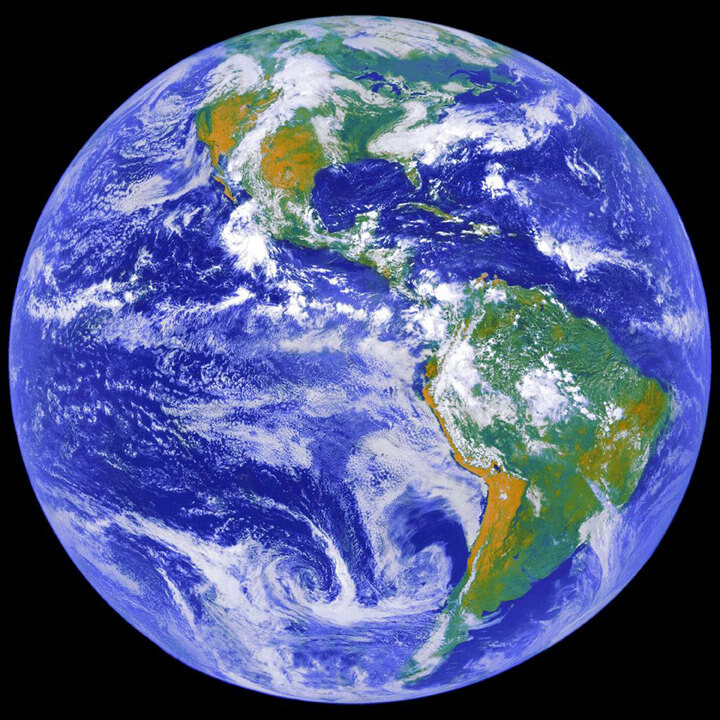 The Earth isn’t a sphere, but it’s actually an oblate spheroid. The equatorial diameter of the Earth is actually 43 kilometers greater than the polar diameter. Since it’s the region of Earth that receives the most sunlight, the climate near the equator is hot – it’s summer all the time. People who live near the equator will generally distinguish between a long hot dry season and a long hot wet season. Some of the countries with the equator include Gabon, Congo, Uganda, Kenya, Somalia, Indonesia, Ecuador, Columbia, and Brazil. The equator is the best place to launch a spacecraft on Earth. That’s because the rotational speed of the planet adds to the launch velocity of a rocket. Rockets launched from the equator can launch with less fuel, or carry more mass into orbit with the same amount of fuel. This is why the Guiana Space Centre is located in Kourou, French Guiana. And this is also why the Sea Launch platform travels from Los Angeles down to the equator before launching rockets. We have written many articles about the Equator for Universe Today. Here’s an article about the temperature of the Earth, and here’s an article about the circumference of the Earth. If you’d like more info on Equator, check out NASA’s Article about Latitude and Longitude. And here’s a link to NASA’s Earth Observatory.